Environmental scientists from the Harvard School of Engineering and Applied Sciences (SEAS) predict that by 2050, wildfire seasons in the US will be three weeks longer, twice as smoky, and will burn a larger portion of the West per year. Concurrently, the US Geological Survey and the Forest Service have recorded that since 1999, the acreage burned by wildfires in the US has tripled from 2.2 million to 6.4 million annually, meaning that much more of the US will be up in flames in the near future. 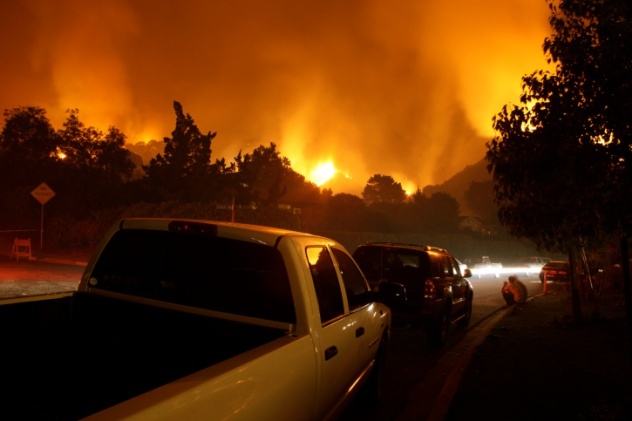 What has led to this dramatic increase in the US wildfire risk? The answer, according to SEAS, is gradual climate change, which has raised the Earth’s temperature, creating conditions that spawn bigger and fiercer wildfires. Dr. Loretta J. Mickley, a senior research fellow in atmospheric chemistry at SEAS, stated that temperature will be the biggest determiner of future fires. The hotter it is, the more likely it is that a fire will start. Ironically, the problem has been exacerbated by the “Smokey the Bear” and Park and Forest Services campaigns to stop all forest fires, halting the natural fire cycle that clears the underbrush out of the forests. With 30,000–50,000 wildfires predicted to occur annually, the US might soon be experiencing its own version of Hell on Earth. This prediction came true within a few weeks of it being made. 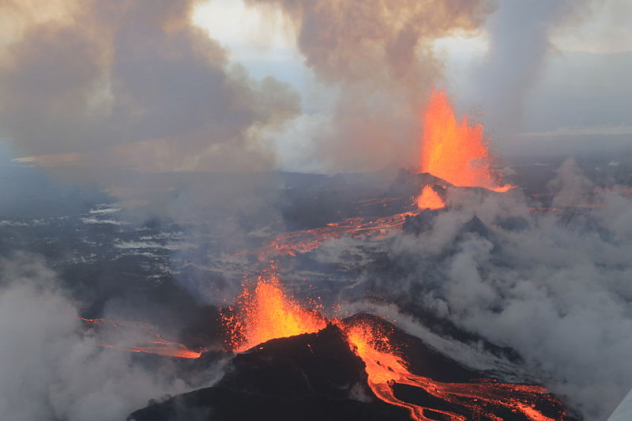 In August 2014, the Icelandic Meteorological Office increased the risk level for a possible eruption of Baroarbunga, a volcano located in Iceland. The increase was due to hundreds of earthquakes occurring around the site over several days, a good sign of a possible volcanic eruption. Scientists began to predict just what would occur if Baroarbunga erupted. Some said the ice around the volcano would melt, causing flooding. Others said that the eruption would cause additional eruptions throughout 100-meter-long (328 ft) fissures in southwest Iceland, triggering the volcano Torfajokull, which would destroy several major rivers that serve as Iceland’s hydroelectric power source. On August 23, 2014, the volcano began erupting underneath the Dyngjujokull glacier. Over the course of the next week, thousands of earthquakes occurred near Baroarbunga and the area surrounding it, and on August 31, its Holuhraun fissure erupted. The Holuhraun fissure erupted for six months, officially ending on February 28, 2015. The fissure emitted, on average, enough lava to fill an American football stadium every five minutes. In the end, the volcano produced 1.5 cubic kilometers (0.4 mi3) of lava and created an 86-square-kilometer (33 mi2) lava field, making the Baroarbunga eruption of 2014 the largest Icelandic eruption since the eruption of Baroarbunga’s Laki fissure in 1783. The Chilean earthquake of April 2014 opened fissures that could lead to a magnitude 8.5 or larger earthquake in Chile. On April 1, 2014, a magnitude 8.2 earthquake occurred 97 kilometers (60 mi) off the northwest coast of Chile near the city of Iquique, causing landslides and a tsunami to hit the coast. This earthquake created the possibility for an even larger earthquake for Chile in the near future due to the location of the earthquake. The Iquique earthquake originated from a subduction zone where one tectonic plate, the Nazca Plate, is plunging underneath another, the South American Plate. This subduction zone lies within the “Ring of Fire,” an arc in the Pacific containing 75 percent of the world’s active volcanoes, which causes much of the world’s seismic activity. When a tectonic plate moves under another, the faults can come under severe amounts of stress, and any release of tension causes seismic activity, namely earthquakes. The April 2014 earthquake was a “megathrust” earthquake, or a major earthquake caused by the release of tension from a subduction zone. It only relieved 33 percent of the tension on the fault, leaving the rest to be relieved in the near future. Dr. Masaaki Kimura, a seismologist and emeritus professor of submarine geology at the University of the Ryukyus, is currently predicting that another 9.0 magnitude earthquake, very similar to the 2011 Tohoku earthquake, will occur in Japan in 2017. Occurring on March 11, 2011, the magnitude 9.0 Tohoku earthquake struck 372 kilometers (231 mi) off the coast northeast of Tokyo and created a tsunami with 9-meter (30 ft) waves that hit Japan. Dr. Kimura has stated that he predicted the Tohoku earthquake four years before it happened, but his prediction and evidence were ignored by the Pacific Science Congress. His hypotheses have been based upon his concept of “earthquake eyes,” regions that have many small earthquakes that are commonly ignored. Dr. Kimura believes that these earthquake eyes are the best predictors of where and when a major earthquake will occur. Earthquake eyes are a portion of his four-step, short-term earthquake prediction method dubbed the “Kimura method.” It is currently the only early earthquake prediction method in use, yet it has not been well tested by his scientific peers. Current earthquake prediction is limited to a few seconds of warning. Kimura believes that the new earthquake will begin in the Izu Islands and will be a magnitude 9.0. It will cause a tsunami to hit Japan in a very similar fashion to the Tohoku earthquake. When the Tohoku earthquake shifted the landmass of Japan, 20 of the 110 active volcanoes in Japan showed increased seismic activity, leading experts to believe one may erupt any day. The Japan Meteorological Agency (JMA) monitors seismic activity and active volcanoes in Japan. Out of Japan’s 110 volcanoes, 47 are considered “active,” meaning they have erupted in the last 10,000 years or spew gases. 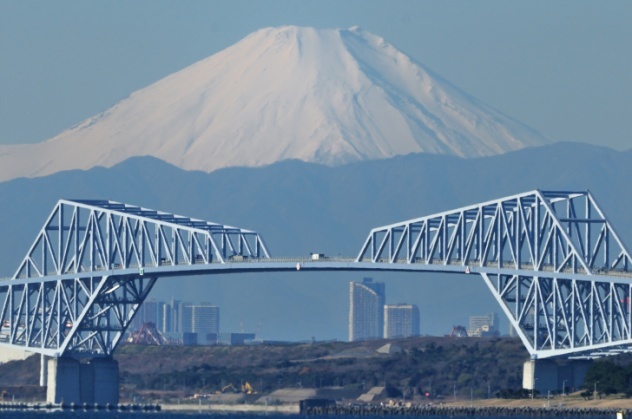 Calculations show that Japan should have a major volcanic eruption every 38 years. Currently, 15 “volcanic events” happen annually. On the list of 47 active Japanese volcanoes is Mt. Fuji, Japan’s tallest volcano, standing at 3,773 meters (12,380 ft). In July 2014, a French and Japanese scientific team released a report claiming that Mt. Fuji is among the volcanoes most likely to erupt, causing concern for many Japanese citizens. Mt. Fuji is located only 100 kilometers (62 mi) from Tokyo. If Mt. Fuji erupted, the team predicts that it would necessitate the emergency evacuation of 750,000 people from Tokyo. The city would most likely be covered in ash. Through the joint efforts of more than 150 volunteer experts, the Oregon Seismic Safety Policy Advisory Commission predicts that an 8.0–9.0 magnitude earthquake and subsequent tsunami will occur off the coast of Oregon within the next 50 years. The big questions are: When will it exactly occur, and will Oregon be prepared? The possible source of this catastrophic earthquake-tsunami split is the Cascadia subduction zone, a 1,287-kilometer (800 mi) crack in the Earth’s crust 97 kilometers (60 mi) offshore from Oregon. The Juan de Fuca and North American continental tectonic plates create this subduction zone, which is considered the “quietest subduction zone in the world” but is currently thought to be hiding one of the biggest seismic events of the century. This occurrence has been predicted since 2010; the Commission now states that it will inevitably occur. 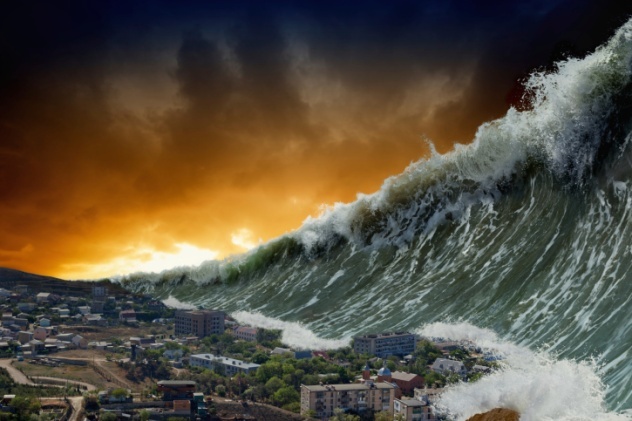 This predicted earthquake and tsunami will kill over 10,000 people, possibly splitting apart portions of the West Coast and costing the US $32 billion in damage. 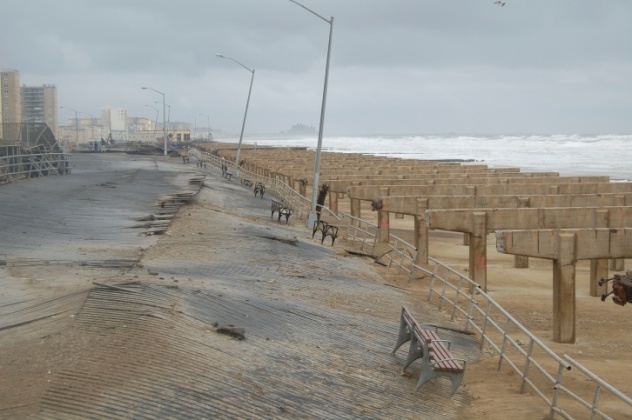 October 2012’s Hurricane Sandy put a lot of cities underwater, and due to its power, it is considered a freak storm that would only occur once every 700 years, according to NASA. However, current sea level trends along the East Coast may leave major cities underwater by 2050. A 2012 study by emeritus professor John Boon of the Virginia Institute of Marine Science claimed that significant changes in sea level along the East Coast from Key West, Florida, to Newfoundland, Canada, started around 1987. His study shows that the sea level is increasing 0.3 millimeters per year. 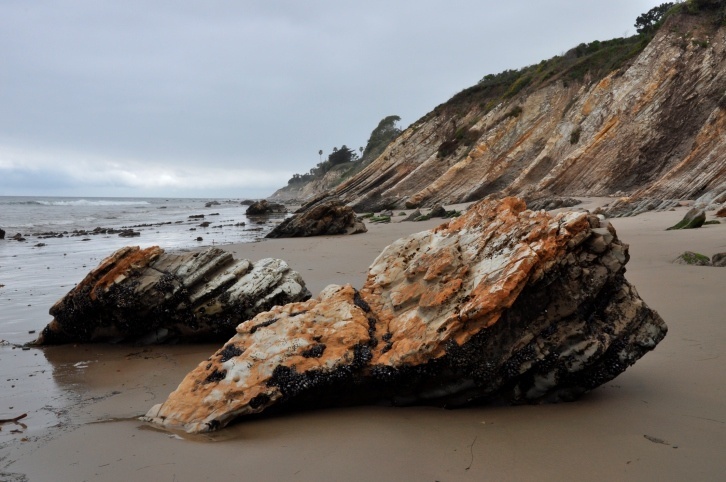 This study dovetails with a US Geological Survey study done by scientists in Florida that states that the sea level of the East Coast is rising three or four times faster than anywhere else in the world. Coastal areas in the northeastern US are currently considered to be more at-risk due to the major property values and built-up coastlines in places like New York City, which may be flooded by 2050. New York City’s sea level is expected to increase 79 centimeters (31 in) by 2050, leaving 25 percent of the city in danger of turning into a floodplain. Around 800,000 people live in the target flooding zone, and by 2050, 97 percent of New York City’s power plants will be there as well. This is why ex–New York mayor Michael Bloomberg proposed a $20 billion flood system in 2013 for New York City before he left office, but this plan was not put into action. Dr. Simon Day of University College London and Dr. Steven Ward from the University of California Santa Cruz predict that the Cumbre Vieja volcano on the Canary Islands will erupt and create the largest tsunami in recorded history. In their jointly written and released paper on the topic in 2001, Dr. Day and Dr. Ward hypothesize that a rupture in the volcano’s structure occurred during its last eruption, causing the left side to have become particularly unstable. If Cumbre Vieja were ever to erupt again, its left side would turn into a landslide that would cause the biggest tsunami in the history of man. They have deduced that the monstrous wave will travel at 800 kilometers per hour (500 mph), be 100 meters (330 ft) tall upon first impact with land, and will reach Florida within nine hours of being created. Dr. Day and Dr. Ward predict that tsunamis will hit faraway places such as England, Florida, and the Caribbean. Note that this is a worst-case scenario. If an eruption-caused landslide on Cumbre Vieja were to happen, it’s more likely that the entire landmass wouldn’t all fall into the sea in one event. A more piecemeal landslide would not cause a record-breaking tsunami. Nevertheless, if you are looking at beachside property in the South, you may wish to reconsider. The US Geological Survey has increased the probability of the likelihood of a magnitude 8.0 or larger earthquake hitting California within the next few decades. The “Big One” refers to the earthquake that many Californians have been waiting for with bated breath for years. 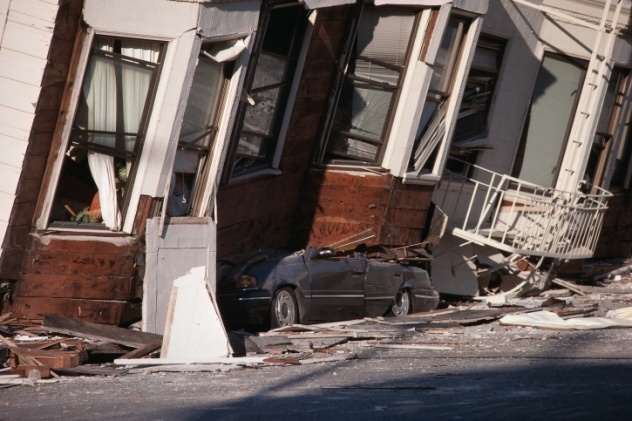 The USGS’s Third Uniform California Rupture Forecast (UCERF3) predicts earthquake eruptions and states that a magnitude 8.0 earthquake or larger quake has a 7 percent chance of occurring in the next 30 years, at present. 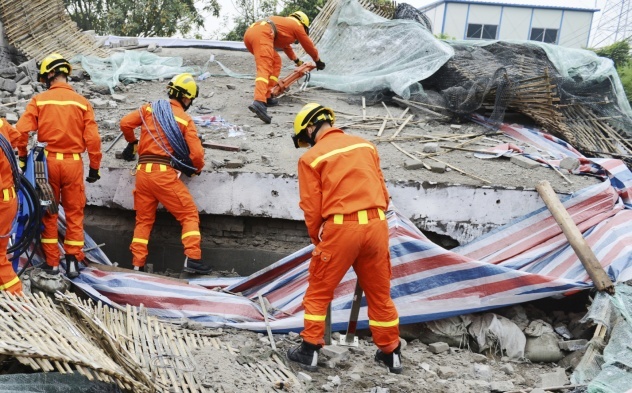 The odds of a magnitude 6.5–7.0 earthquake hitting went up 30 percent. 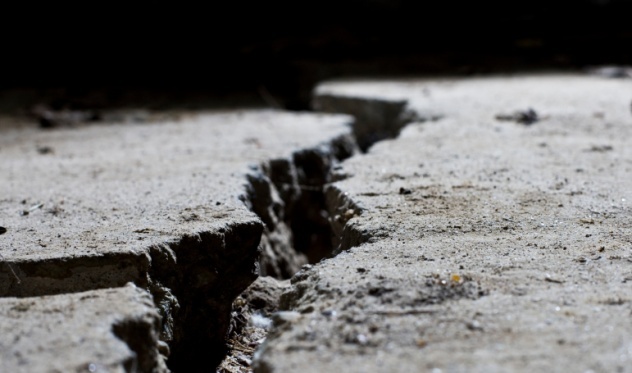 If it were to hit, it would most likely come from the breaking of the San Andreas Fault, spanning the distance in southern California inland from Los Angeles, but there is some speculation as to which fault will be the origin point. Some reports specify that the Big One will originate from the Hayward Fault near the Bay Area and San Francisco. No matter where the earthquake comes from, it is predicted to devastate all of California and other parts of the West Coast. A “realistic crisis scenario” to be used for emergency planning was created by 300 scientists and details the earthquake’s occurrence and damage through historical data–based computer projections. The computer predicts that the earthquake will produce shock waves that travel 11,600 kilometers per hour (7,200 mph), causing severe damage to major freeways and buildings. Overall, the biggest concern for any major earthquake is fires, due to the amount of dry brush that could turn any small blaze into a raging inferno. The White House granted $5 million to a team from Caltech, UC Berkeley, and the University of Washington, that is developing the Earthquake Early Warning system to alert people one minute in advance of an earthquake hitting. The system is currently only able to release an alert 10 seconds prior to the beginning of an earthquake. The biggest natural disaster that could affect Earth in the near future doesn’t even originate from our planet; it comes from the Sun. The Sun has an “activity cycle,” which means that it has either decreased or increased activity, such as solar flares and sunspots, depending on its time in a particular cycle. The most recent major burst of solar activity occurred in July 2012, when a coronal mass ejection (CME) passed through Earth’s orbit and hit the STEREO-A space station. A CME is the solar ejection of a billion-ton cloud of magnetized plasma that harbors the unfortunate side effect of acting as an electromagnetic pulse on Earth’s electronics, taking them out of working order. 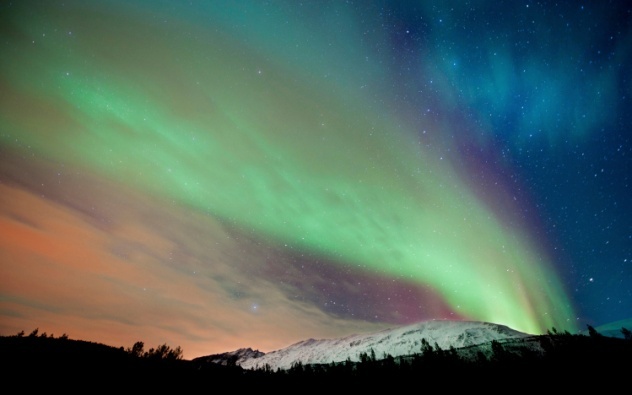 A solar storm usually contains a solar flare, high levels of UV radiation, energetic particles that destroy the crucial electronic components of satellites, and many CMEs. The 2012 solar flare hit the space station but was only a week’s time away from hitting Earth instead. This lucky miss for Earth may not repeat itself in the near future according to Pete Riley, a scientist at Predictive Science, Inc. After analyzing solar storm records from the past 50 years, his calculations concluded that there is a 12 percent chance of a major solar storm hitting Earth in the next 10 years. If this were to happen, it would potentially interfere with radio, GPS, and satellite communications, affecting the use of millions of electronics around the world. Power grids would also be affected due to power surges caused by the energetic particles, possibly causing major worldwide blackouts similar to the one that occurred in Quebec in 1989. The economic costs are estimated to be $1–2 trillion in the first year of impact, with a full recovery taking 4–10 years according to the National Research Council. However, a catastrophic solar storm may not occur in the near future. Even if one did occur, it may not be as impactful as some are predicting according to Robert Rutledge and the forecast office at the NOAA/Space Weather Prediction Center. The predictions being made are the “worst-case scenario” viewpoint and are merely a warning against catastrophe. That said, major power companies and worldwide first response services are aware of the effects of solar activity and are investing heavily to defend against them. Roxanne and David are people with a healthy fear of natural disasters.